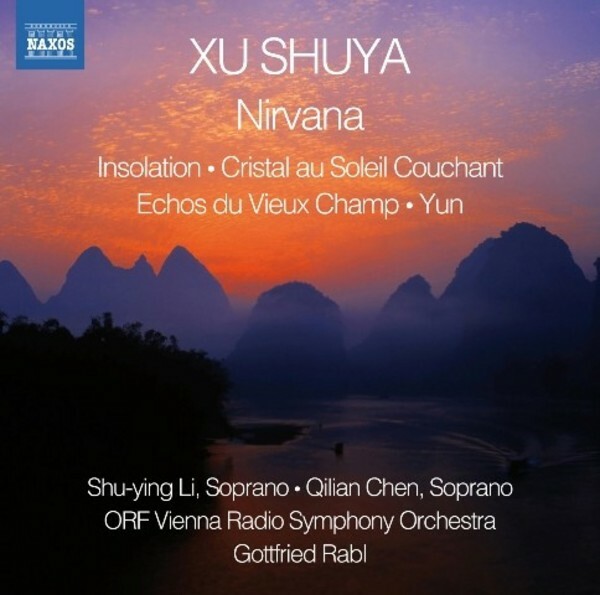 With worldwide acclaim and numerous awards, Xu Shuya is one of the leading composers to emerge from the Chinese �New Wave�. His fascination with his Chinese heritage is eloquently expressed in pieces such as Insolation, inspired by the heroic myth of Kaufu Chasing the Sun, and Yun, which unites the famous �Purple Bamboo Melody� with symphonic textures and gestures. Cristal au Soleil Couchant expresses the intensity of light and colours at sundown, while Echos du Vieux Champ conjures nostalgic memories of the composer�s homeland. Shaped by spiritual concepts and the Tibetan landscape, Nirvana evokes the �bittersweet pleasure� of �faint distant melodies, like tunes from heaven�.